Do You Know How To Properly Store Your Ammunition? The great thing about ammo is that if it is stored properly it can remain in storage for decades upon decades and still emerge as functional as it was on the day that it was purchased. This depends, however, on the manner in which it was stored, as well as the environment within which it was stored. Even the highest quality ammunition will become useless surprisingly fast if proper storage procedures and techniques are not adhered to. 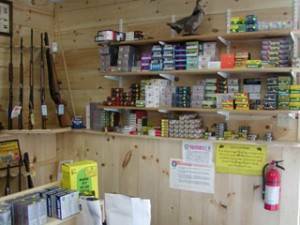 Here is some quick advice from your chosen NH and MA gun shop on how to best store your ammunition. Some of the many things you have to be aware of when storing your ammo include extreme heat, humidity, and ambient moisture. These are the big three, although there are others, (such as avoiding direct sunlight for some types of ammo). For now we will focus on heat, humidity and ambient moisture, because those three things are a hazard to just about every type of ammunition, and even most firearms as well. Extreme heat should be avoided, but let’s be clear about what exactly constitutes “extreme heat”. While most of us certainly don’t enjoy extremely hot weather, modern manufacturing processes for ammunition create products that will not be adversely affected by a very hot summer day in most cases. Generally, most experts agree that damage and breakdown to ammo doesn’t likely start until the environmental temperature reaches approximately 150 degrees. Much hotter than your hottest summer day. However, this temperature can easily be reached if ammo is stored in an unsafe environment, such as the trunk of a car or some poorly-insulated attics. Bullets and shells left in such a place for long enough will likely lose performance – perhaps even fail to fire completely. This is because the powder inside the ammo is sensitive to heat, and extreme heat can cause it to break down. Moving on to the problems of humidity and ambient moisture. If you know anything about firearms, or have spent any time in any gun shop in Massachusetts or New Hampshire, you have probably heard the phrase “keep your powder dry”. More than just an age-old adage, these four words should be your mantra when it comes to how to store your ammunition, though it can be surprisingly difficult to adhere to. Ambient moisture is the most easily controlled – just keep ammo away from puddles, sinks, leaky pipes, etc. If this is more of a problem than it should be, you can go to your favorite NH or MA gun shop and pick up moisture resistant containers. Humidity levels are more difficult to control. Investing in a high quality dehumidifier for the area in which your ammo is stored might be a good idea. So what does high humidity or ambient moisture do to ammo? If bullets or shells get wet, the water can seep inside and saturate the powder, rendering the ammo inert. Humidity levels, over a long enough period of time, are known to be a steady source of corrosion to the brass components of bullets and shells as well, which can not only structurally weaken the ammo, possibly to the point of failure, but it also serves to change the dimensions of the shell or cartridge, which can cause jamming failures. Ammo showing signs of corrosion should always be dealt with carefully. Some times its just better to throw it away than to risk damage or injury. If you have any other questions about proper ammunition storage techniques, drop by Old Glory Guns & Ammo today to visit with your chosen NH Firearms experts!